If you are a regular watcher of HGTV, you very likely know – or at least recognize – Jonathan and Drew Scott. The 36-year-old twins host the massively popular "Property Brothers," a show in which they renovate homes to become the dream residences of those they are working with. While the two men have made a career out of improving homes, they do so with the environment in mind. Both Jonathan and Drew are passionate about eco-friendly living, and strive to make all of the homes they upgrade as green as possible. Lighting: One of the best ways you can improve the efficiency of your home is by changing your lighting habits. Jonathan told the magazine, "And, of course, if you have a bad habit of leaving lights on when not in use, stop it! Your wallet will thank you for it." They both also suggested investing in LED light bulbs. 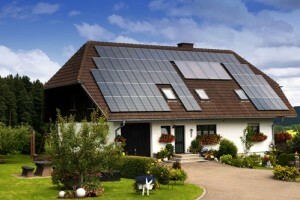 Solar power: If you really want to see some energy savings, solar panels are the way to go. According to the Drew brothers, an average family can save around $20,000 if they have solar panels installed and properly used for a 20-year period. Windows: For you to make a significant dent in your wasteful habits, the Scott brothers say you need to pay attention to your windows. Plugging up any holes and leaks, as well as replacing older models that are no longer effective, is essential before we head into winter. If you are interested in making your home a more energy-efficient space, be sure to invest in energy saving window film from R&J Tinting today!